Small Town Monsters has announced the official debut of their first miniseries, Seth Breedlove's "On the Trail of Bigfoot". Shot throughout 2018, the six episode series was filmed in fourteen U.S. states and features over twenty interviews with witnesses, investigators, historians, and researchers on the American legend. 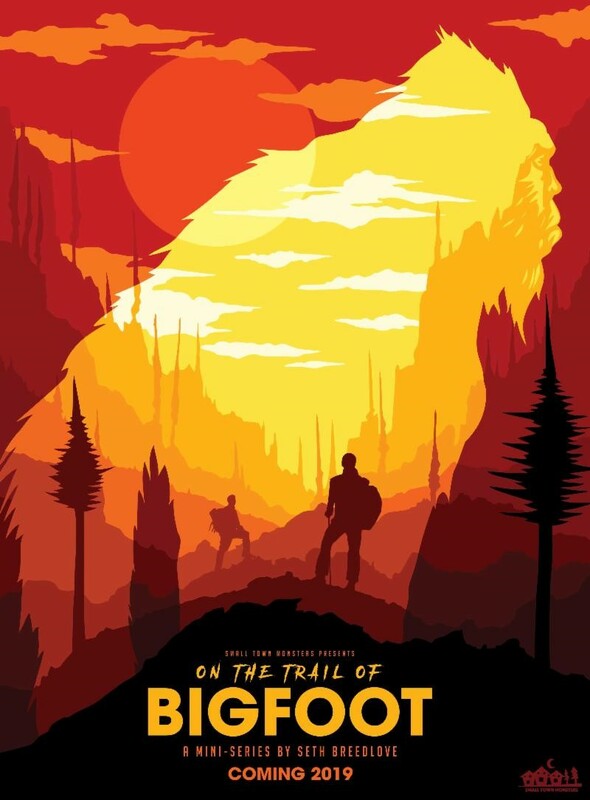 "On the Trail of Bigfoot" walks viewers through the history of the Bigfoot phenomenon, starting with the earliest known reports of apelike creatures in the 1800s and bringing them all the way up to the modern day. 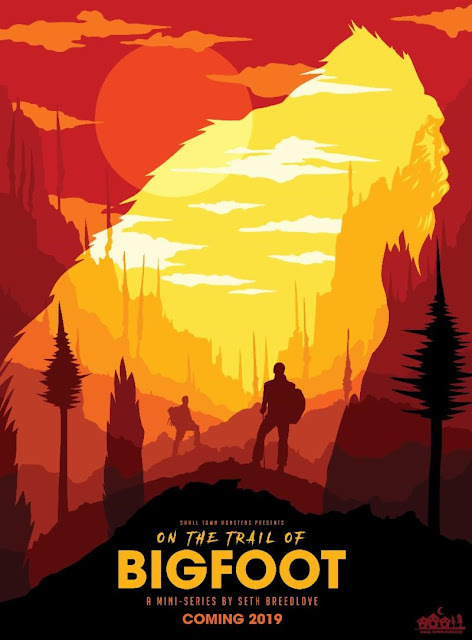 "On the Trail of Bigfoot" will premiere Friday, March 29th on Amazon Instant Video, Vimeo OnDemand, and VIDI Space, as well as DVD. During filming of the nearly three hour series, Breedlove experienced numerous unusual incidents, and even managed to capture some mysterious eyeshine watching his camp from a nearby hillside. Along the way, he was joined by skeptics, Bigfoot enthusiasts and those intent on solving the mystery once and for all. Over the course of six episodes, the series examines every aspect of one of America's most enduring legends, from decades of alleged sightings of terrifying monsters in middle America, to the ongoing search to find proof of the creature's existence.